Dr. Hannibal Lecter: Love and death are the great hinges on which all human sympathies turn. The finale was in one word: Amazing. Mads Mikkelson was great and delivered his best performance of the series thus far. Fight scenes aren't usually my favorite part of any movie or episode but this one with Jack and Hannibal was done superbly. 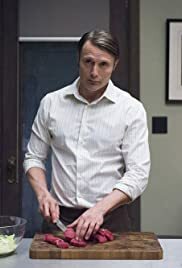 I got so into it I though Jack will successfully strangle Hannibal and forgot about the glass to neck part which was also shown back in episode one of this season. I don't think there was anyone who missed the after credit seen as they were in too much shock and remained staring at the screen as the credits rolled. This is a crucial part thinking a head to season 3. This episode was a visually amazing 40 minutes with top class acting all round. I can't wait to see where things go from here! 45 of 53 people found this review helpful. Was this review helpful to you?